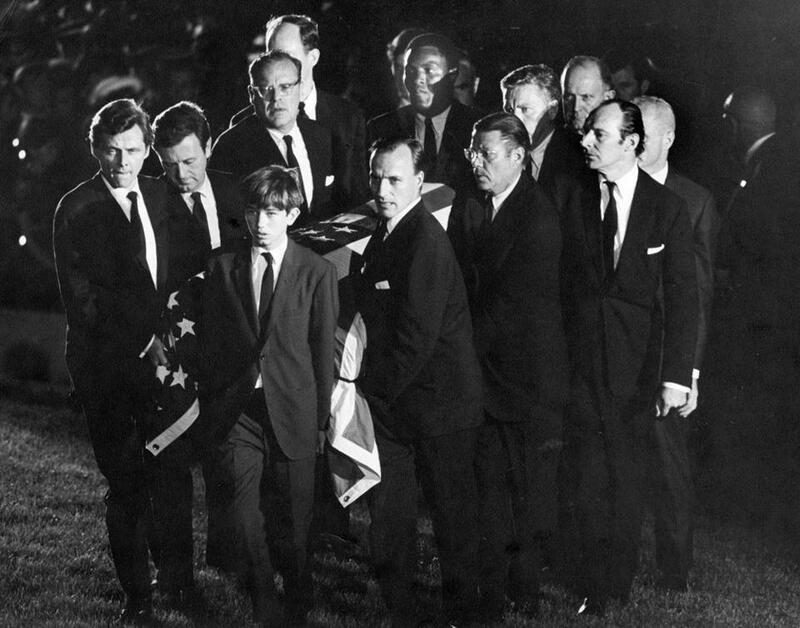 The casket of Robert F. Kennedy was carried to the gravesite at Arlington National Cemetery on June 8, 1968. 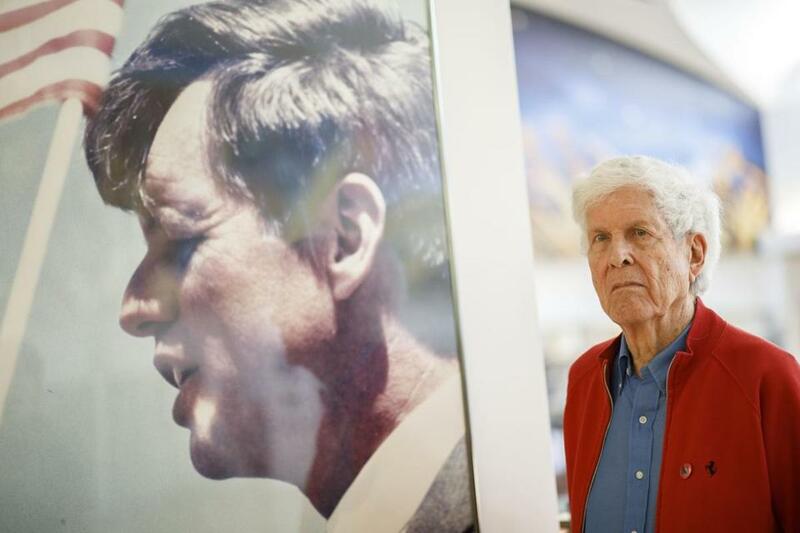 Two of Robert F. Kennedy’s children are calling for a new investigation into their father’s assassination, opening a rift in the famous family as it prepares to commemorate the 50th anniversary of his death next Wednesday. Kathleen Kennedy Townsend, the former lieutenant governor of Maryland, told the Globe this week that she supports a new investigation, joining her brother Robert F. Kennedy Jr., who revealed last weekend that he visited convicted assassin Sirhan Sirhan in prison and believes someone else killed RFK. “I think Bobby makes a compelling case,” Townsend wrote in an e-mail. 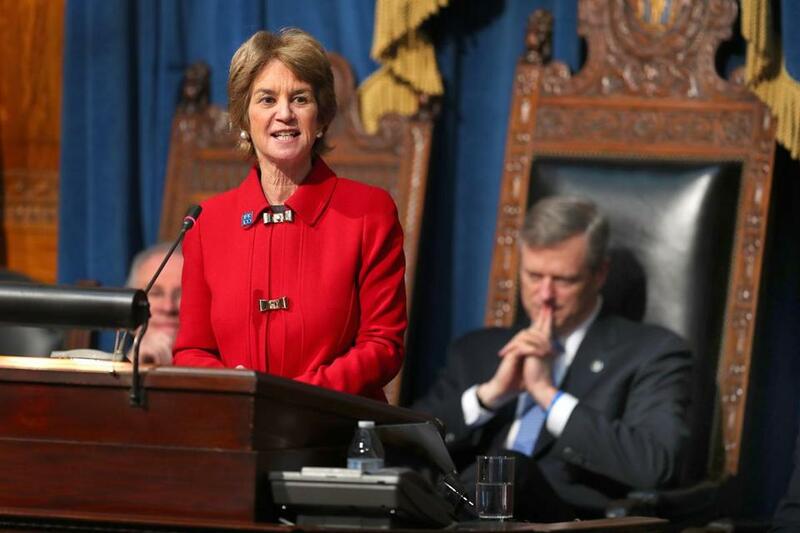 Kathleen Kennedy Townsend spoke at a joint session of the Massachusetts legislature in February 2017. But two other children of Robert F. Kennedy said this week that they would not support a re-investigation, underscoring how divisive the second-gunman theory continues to be, a half-century after the presidential candidate, former attorney general, and senator from New York was killed in the pantry of the Ambassador Hotel in Los Angeles. “As we approach the 50th anniversary of my father’s passing, I think what is most important is that our country and my family reflect on what my father stood for and fought for — a legacy promoting global peace, social justice, and civil rights,” Joseph P. Kennedy II, the former congressman from Massachusetts, said in a statement. 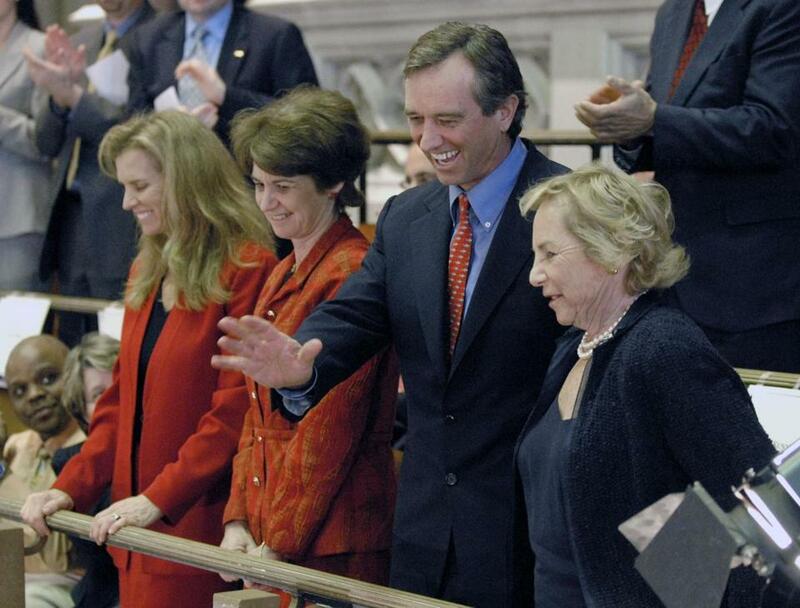 From left: Kerry Kennedy, Kathleen Kennedy-Townsend, Robert Kennedy Jr., and Ethel Kennedy in 2008. 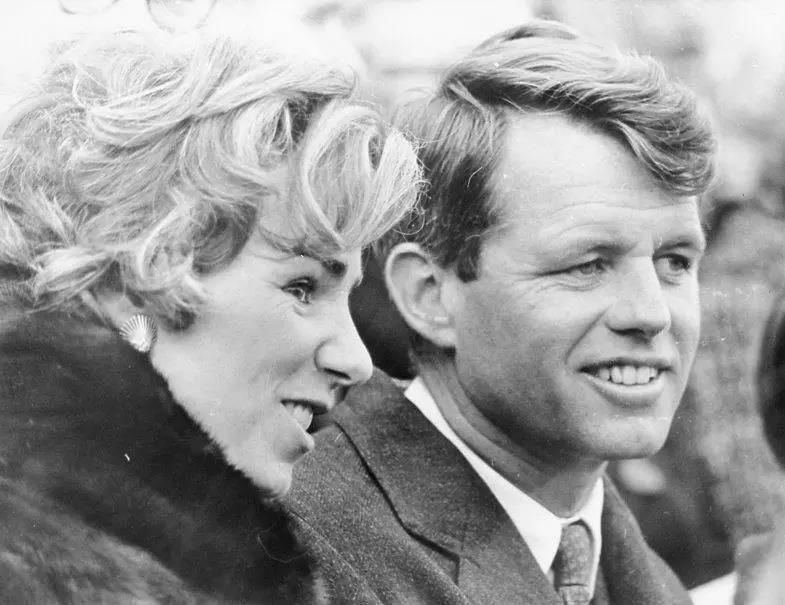 At the center of the emotional debate is Ethel Kennedy, RFK’s 90-year-old wife, who is preparing to join the family next week for a ceremony honoring her husband’s legacy at Arlington National Cemetery. Former president Bill Clinton is expected to speak, along with RFK’s grandson, Representative Joseph P. Kennedy III of Massachusetts. But Ethel Kennedy “will not comment” on the call by two of her children for a new investigation into the assassination, said Kerry Kennedy. Joseph P. Kennedy III also declined to comment, as did Rory Kennedy, a filmmaker and the youngest of RFK’s children, whose assistant pointed to “the sensitive nature of this topic” when declining the request. 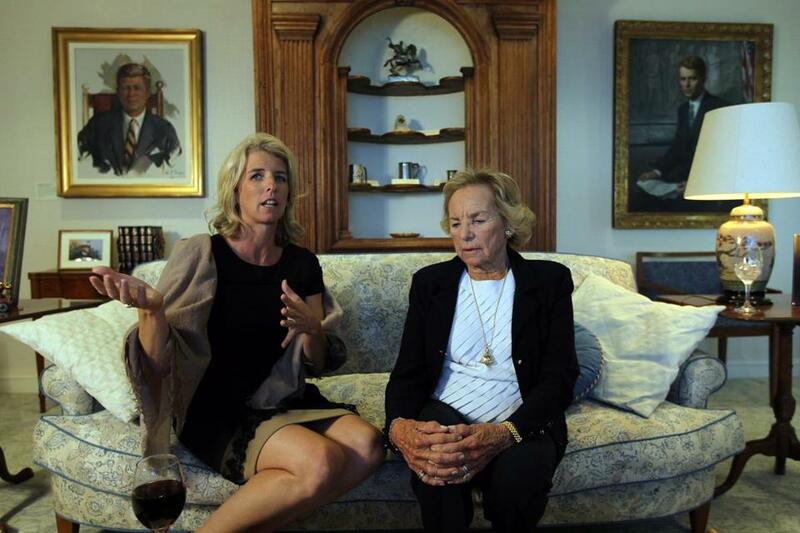 Ethel Kennedy (right) and her daughter, Rory, spoke to the Globe in 2012 about Rory's documentary on her mother. Kennedy’s shooting on June 5, 1968, shocked the nation, coming just two months after Martin Luther King Jr. was gunned down in Memphis and nearly five years after Kennedy’s older brother, President John F. Kennedy, was assassinated in Dallas. Sirhan, a 24-year-old Palestinian immigrant, was apprehended immediately after the shooting when he was wrestled to the ground with a .22-caliber revolver in his hand. Kennedy, who had been celebrating his victory in the California Democratic primary, died the following day. Five others who were shot survived. At his trial in 1969, Sirhan admitted that he shot Kennedy and was convicted and sentenced to death. His sentence was changed to life in prison when California abolished the death penalty in 1972. 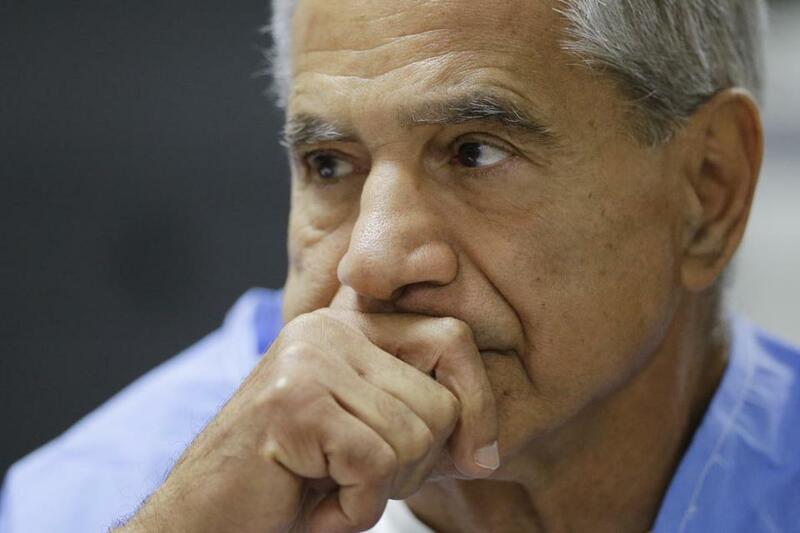 Now 74 and incarcerated in state prison in San Diego, Sirhan has lost all his legal appeals and 15 bids for parole, most recently in 2016. Sirhan Sirhan at a parole hearing in February 2016 in San Diego. Though overshadowed by the conspiracy theories surrounding JFK’s death, the theory that Sirhan was not responsible for the assassination of RFK has persisted for years, fueled in large part by Paul Schrade, a former United Auto Workers official who was shot in the head as he walked behind Kennedy at the Ambassador Hotel. Schrade believes Sirhan couldn’t have killed his friend because an autopsy report showed RFK was shot from near point-blank range from behind and eyewitnesses saw Sirhan standing in front of Kennedy. Schrade also points to an analysis done about a dozen years ago of a reporter’s audio recording of the assassination that indicated 13 shots were fired. Sirhan’s revolver only held eight bullets. Paul Schrade at the library named in his honor at the Robert F. Kennedy Community Schools in Los Angeles. Schrade shared the evidence with Robert F. Kennedy Jr., an environmental advocate and the third oldest of RFK’s 11 children, who found it persuasive. In an article published in The Washington Post on Saturday, RFK Jr. disclosed that, after reading the autopsy report, the police report, and other documents, he visited Sirhan in prison for three hours just before Christmas and emerged convinced Sirhan did not kill his father. 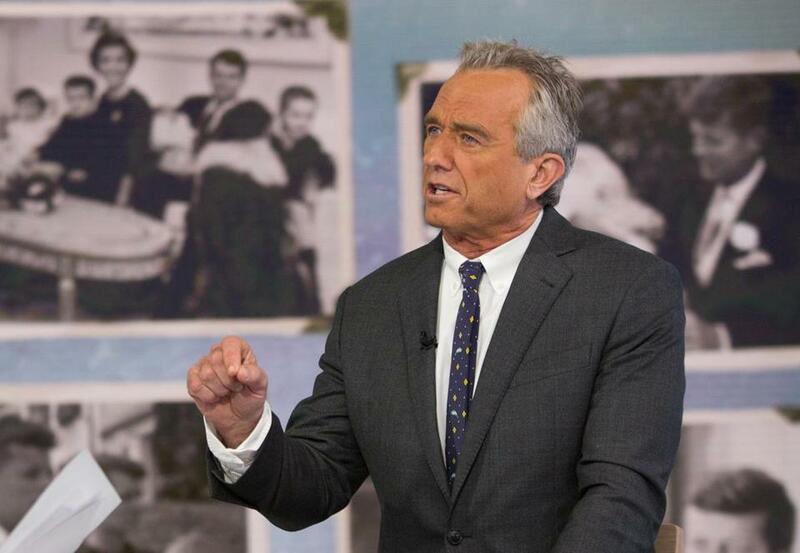 Robert F. Kennedy Jr., as pictured earlier this month. Sirhan has contended that he does not remember the shooting, and his lawyers have argued that he was the victim of a mind-control plot by a mysterious girl in a polka-dot dress, a theory that was based on statements Sirhan made to a Harvard professor while under hypnosis. Such claims have not held up in federal court. In a 2012 decision, US Magistrate Judge Andrew J. Wistrich found that the acoustic analysis indicating 13 shots were fired “raises doubts as to the number of bullets fired, but it does nothing to diminish the overwhelming evidence of guilt.” He noted that other audio engineers who have analyzed the recording have identified only eight shots. 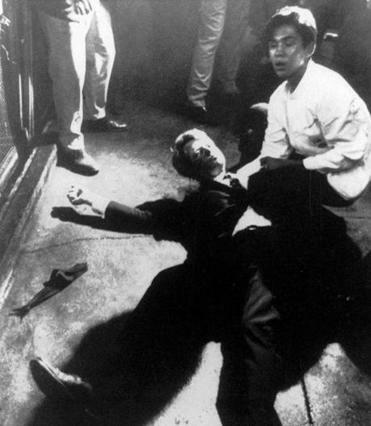 Senator Robert Kennedy moments after he was shot June 5, 1968. The autopsy that found Kennedy was shot from behind while eyewitnesses saw Sirhan in front of the senator “fails to address the chaos that ensued once [Sirhan] began shooting and the subsequent movements of the senator and [Sirhan] in reaction to the shooting,” Wistrich wrote. And the claim that Sirhan was manipulated into the shooting by a mind-control plot is a “diverting — albeit farfetched — theory. But it is no more than that,” Wistrich wrote. Ultimately, even if a second shooter’s bullet killed Kennedy, Sirhan would still be liable for the murder “as an aider and abettor,” Wistrich wrote. And the idea that someone other than Sirhan shot Kennedy “at close range with the same type of gun and ammunition as Sirhan was using, but managed to escape the crowded room without notice of almost any of the roomful of witnesses, lacks any evidentiary support,” the judge wrote. Such rejections have made Schrade, 93, skeptical that a new investigation will ever be launched. “At this point, the prosecutors are frozen in their position and have been for many years. and it’s going to take a lot of leverage for them to do anything,” he said. Robert and Ethel Kennedy on Nov. 24, 1962. Robert F. Kennedy Jr.’s involvement could also prompt some to dismiss the issue as a conspiracy theory because he has for years promoted a link between vaccines and autism — a claim debunked by medical experts. But Schrade said the support of two of RFK’s children could help the second-gunman theory gain new traction.